The secure, flexible and inexpensive choice for all home, tradesman, business and student storage solutions. 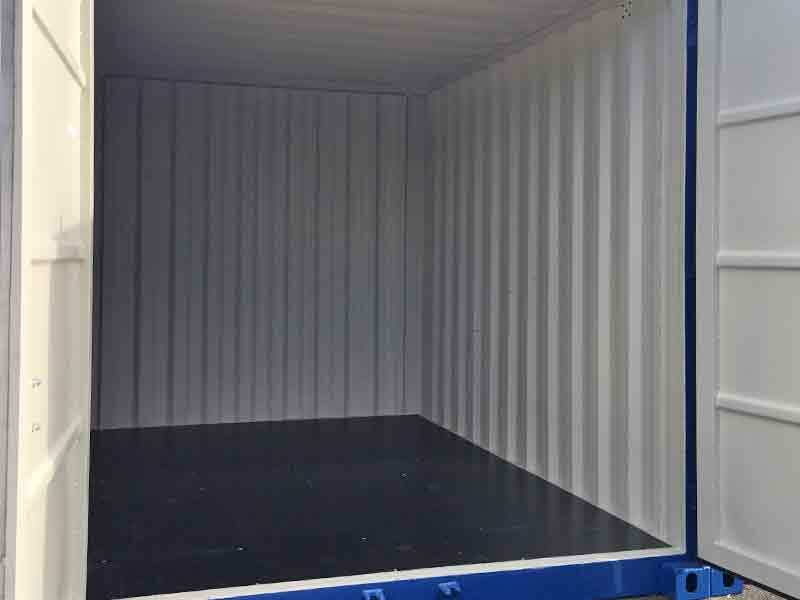 Find out more about our quality, local storage containers at Self Storage Plymouth. Storage Plymouth provide safe and secure, low cost storage solutions for all of your personal belongings. 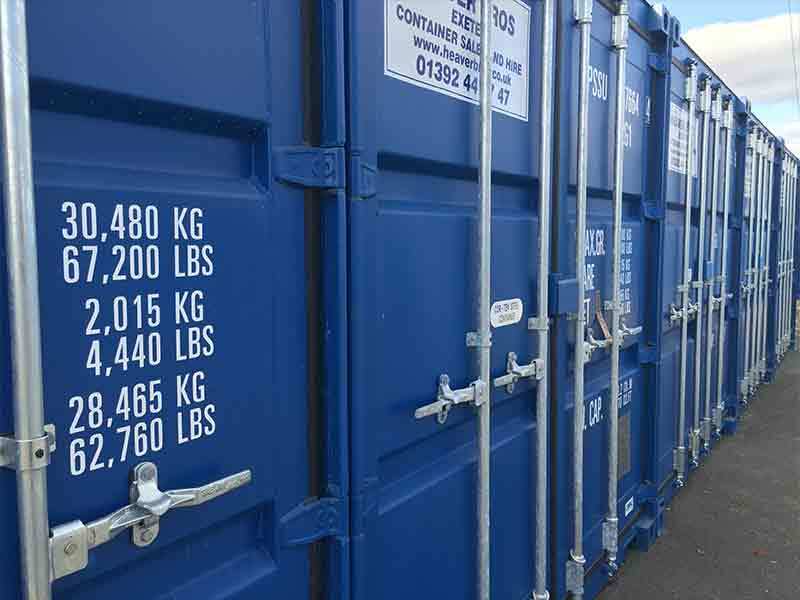 Whether you are just running out of space at home or are moving away, we offer a range of container sizes to suit your needs. Do you work from and store your equipment in your van? 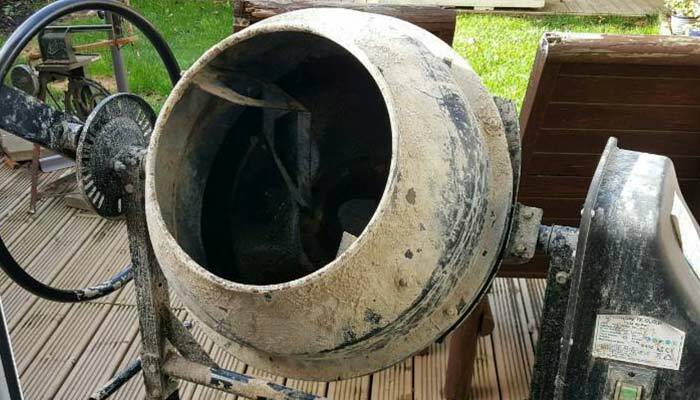 Don’t run the risk of getting it stolen and seriously affecting your business when you can safely store your equipment, receive deliveries and operate from one of our easy access containers in our fully secure premises. At storage Plymouth it’s not all about storage. 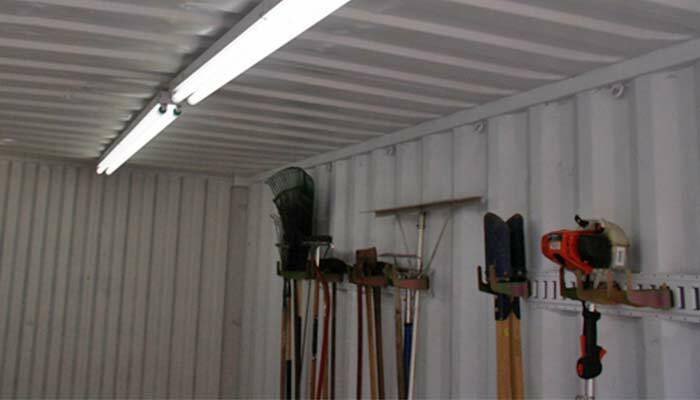 We can supply electric, lighting and water to your container so you can actually use it as a workshop as well as a storage space. Talk to us about adapting a container for your workshop needs. Whether you are looking for somewhere to store confidential documents, trade parts and equipment or sales stock, Storage Plymouth can offer an ‘easy in, easy out’ solution with a choice of condensation free containers to suit. Studying in Plymouth? we offer the perfect solution for students looking to store those bulkier possessions over the summer and out of term time. 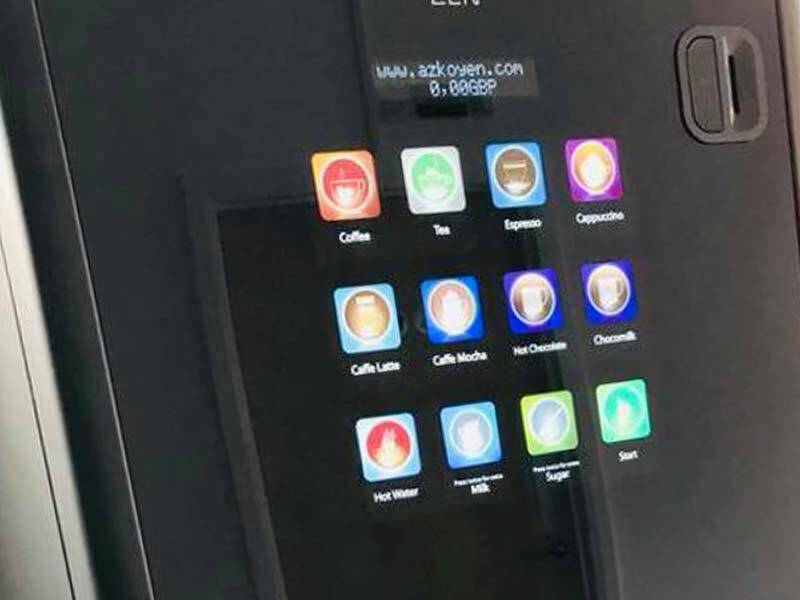 Get peace of mind with our secure 24 hour CCTV monitoring and security guard monitoring. 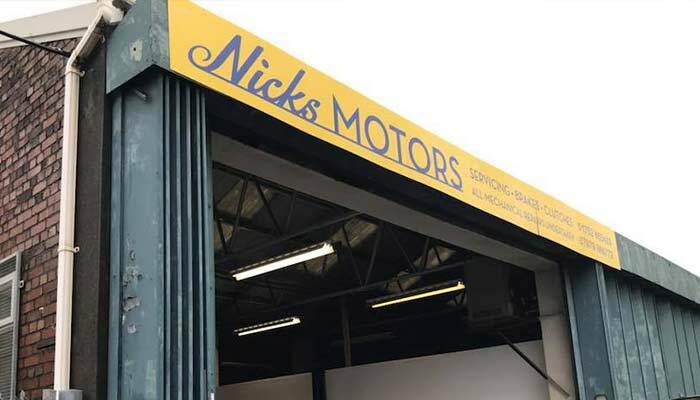 Nick’s Motors has now joined us at Storage Plymouth, so now you can get your car serviced whilst loading or working from your storage container. From car servicing to repairs and MOT’s Nick’s motors can cater to all your motoring needs. We are a small friendly team and part of the GIUK Group. We offer a personal touch to your storage requirements. With direct access from Embankment Road in Plymouth, we offer a choice of different sized containers to suit your storage requirements. Our containers are fully secure and we do not tie you in to long contracts. Give our friendly team a call today for a great deal on your storage needs. 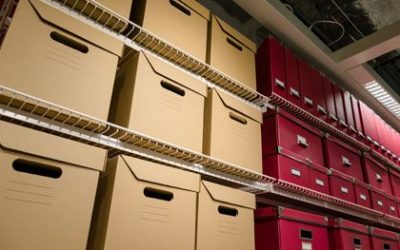 Whether you need to store personal items, keep excess family furniture or declutter the office — Storage Plymouth can offer you the perfect solution. We are inexpensive, flexible and easy to work with, we offer 24 hr monitored security, an unloading service, secure Grafo-therm coated containers to avoid condensation and keep your belongings safe and dry, with easy access and a convenient location right in the heart of Plymouth. Storage Plymouth is not just a storage facility, with some of our containers being used as workshops and Nick’s Motors now being onsite. Self Storage Plymouth is more of a base from which your business can operate and as such we provide excellent facilities including a waiting room, state of the art coffee machine, TV, shower room and toilets. Why not give us a call about your business becoming part of the team. The security of your possessions is our highest priority. Our entire site has 24 hour CCTV monitoring and surveillance along with 24 hour security guard monitoring and benefits from a high security perimeter fencing. Rest assured, your belongings are safe with us. Well here we are in 2019 and our plans to open an internal storage facility in the centre of Plymouth are moving forward nicely, all has been agreed, we are no waiting on the contracts etc. Keep an eye out for an opening date and for further information. Ready to book your self storage?